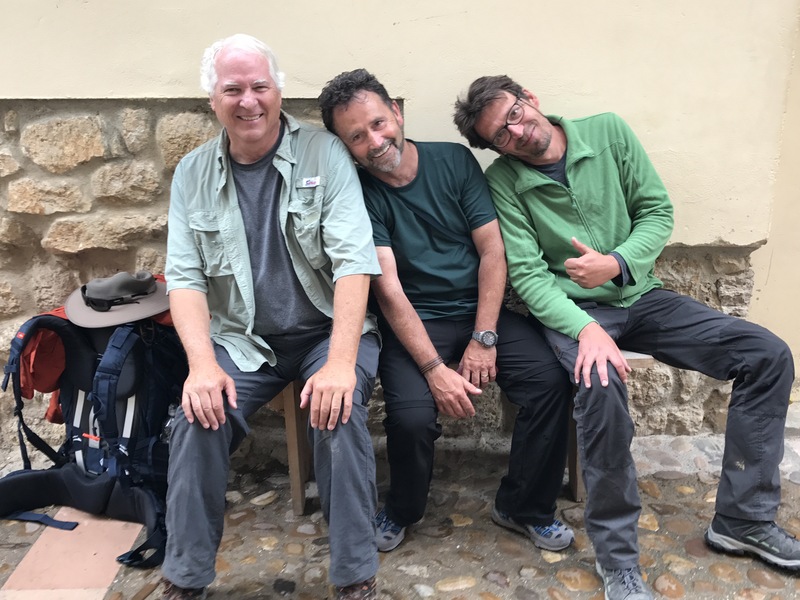 Buen Camino: Pilgrimage or Pub Crawl? This doesn’t do the story justice but writing on the road is complicated. Internet isn’t always available or is slow and I write after a day of hard walking. Then, there is the beer. I’ve just finished day 14 on the Camino, am in an auberge in CastroJeriz called Orion. It rained hard with a cold wind all morning on the trail. I am still warming up. I lost the Germans again but we seem to reconnect somewhere. I’ve had trouble with a muscle spasm in my upper back – in trying to figure that out I went to a physical therapist in Burgos plus bought a new pack. I’ve about decided the issue is walking too fast, so I slowed down to my natural pace, hence losing Michael and Erwin (aka the Germans). My natural pace is slower than most so people pass me all day but we seem to arrive about the same time. The PT did massage, acupuncture, chiropractic, and gave me 4 exercises, all for €40. I did much better today or I’m used to the pain, one or the other. Otherwise I’m holding up just fine. I turned 65 on Monday. There are people of all ages well higher – I met Mary Katherine, a 76 year old French woman, yesterday at the Hen Fountain At Hornillos yesterday on her umpteenth Camino. I also had a long conversation yesterday with Alessandro, Italian pastry chef, 28 years old. Erwin just sent a message in German via Facebook so I will see if I can locate the bar they are in. I hope you found the Germans in a wonderful bar! You GO Robert! Great to follow you! I have this on my list! 😎 Prayers for you and your health!